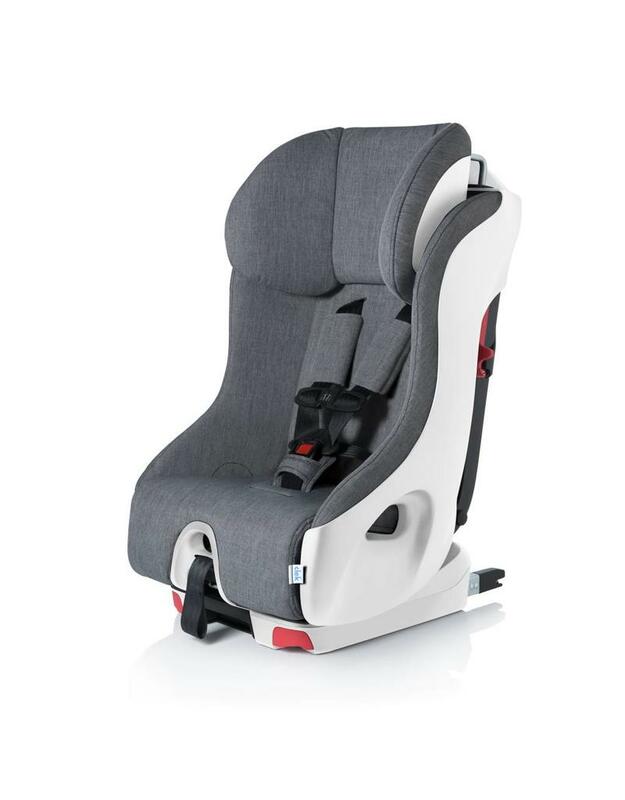 Foonf is Clek’s no-compromise convertible child seat – introducing revolutionary safety technology, innovative convenience features, and recyclable. Foonf was designed to international best practices for extended rear-facing use, which is to accommodate children in a rear-facing installation until their 4th birthday. Energy-absorbing foam-lined Headrest connected to frame using steel rods provides maximum head protection in a side-impact collision. Foam layers on both the inside and outside of the frame protect your child by absorbing energy in a side-impact collision, resulting in less force directly upon your child. Foonf is crash tested to NCAP, which simulates forces experienced in extreme collisions. In Rear-Facing mode, Foonf’s Anti-Rebound bar improves stability by limiting rotation of the child seat, helping protect your child’s head from impact in the case of a collision. 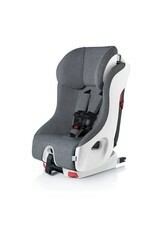 REDUCING THE FORCES TRANSMITTED TO YOUR FORWARD-FACING CHILD IN A FRONTAL COLLISION. In keeping with the American Academy of Pediatrics advice to keep toddlers in Rear-Facing car seats until age 2 (or until they reach the maximum height and weight for their seat), we sought out to design a child seat that reduces the forces on older children in car seats when they transition forward-facing. 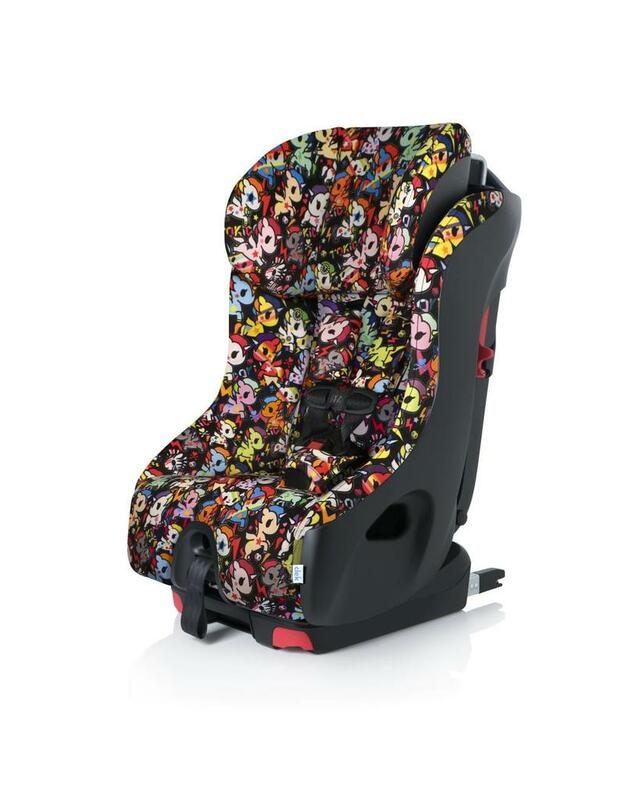 The REACT™ Safety System integrated into every Foonf child seat protects your child much like the crumple zones in the cars we drive — one of the most effective innovations in automotive safety. In a collision, the vehicle comes to an abrupt stop, but the child continues to move at the same speed. The less time that it takes for the child to come to a complete stop, the higher the forces exerted on the child. The REACT Safety System allows that sudden change in momentum to happen over a longer period of time through a series of controlled events. Foonf is designed to ride down the collision crumpling the aluminum honeycomb and absorbing energy from the collision resulting in less force transferred to the child. FOONF ACTUALLY MAKES A PARENT’S JOB EASIER. Over 80% of child seats in North America are not used properly. Hands down the easiest Forward-Facing installation in its class, Foonf’s Rigid-LATCH system makes proper Forward-Facing installation effortless. 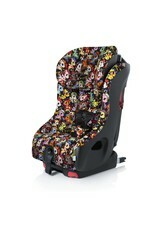 Base of child seat measures 13 in. wide for improved installation in difficult vehicle seating positions, like deep bucket seats and centre seating positions. Anti-rebound bar nests into flat part of vehicle seat back ensuring a snug installation with ease. Foonf boasts a narrow width — under 17 in. at its widest point and 13 in. at the base — making 3-across seating possible. Crypton® Super Fabrics are GREENGUARD Select Certified and provide permanent protection against stains, moisture and odor-causing bacteria; and are free of brominated and chlorinated flame retardants. 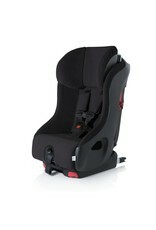 Infant insert designed to accommodate a child in rear-facing and weighing between 5–22 lb in a Clek Foonf and Fllo convertible seat. Learn more about child safety on airplanes.